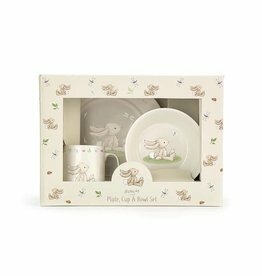 Tableware, cutlery & feeding spoons to make mealtime a little easier at the zoo! 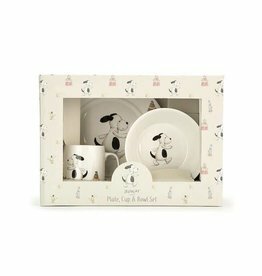 For a superfun breakfast, lunch and tea, it has to be the Bashful Puppy Bowl, Cup and Plate. Beautifully boxed and made from Bone China. FORK & SPOON offers an easy way to feed your baby or let them learn to feed themselves. Includes a travel case.